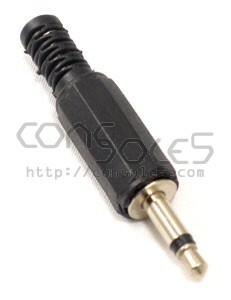 Replacement DC plug for Atari 2600 and many 70's-era Pong game systems. Atari 2600 AC adapters are not particularly reliable. This new 1/8" mono DC plug can be soldered to any DC adapter rated at 9V and 500ma (or higher) to create a functional power supply compatible with many 70's era game systems. 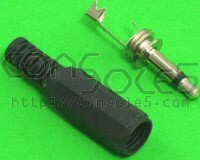 Numerous 70's era pong systems with built-in 1/8" (3.5mm) mono-style DC jack.